Welcome to the birdlife fiesta and get a magnificent opportunity to watch different species of birds while trekking through the enchanting Lava and Neora Valley. Seeing the birds flying and feeding their babies in nest provides a great enjoyment and certainly an experience not to be missed. If you wish to embark on a birding tour, then allow us the honors to make your trip hassle-free and comfortable by offering you the attractive packages at best prices. Moreover, we also provide best accommodation as per the needs of the clients. After breakfast, transfer to the airport to board the flight for Bagdogra. Upon arrival, meet with our representative and drive to Lava (2100 m), 25 km from Kalimpong. Upon arrival check into the forest camp / lodge. Evening explore the beauty of the surroundings with the chirping and singing of birds. Overnight stay in camp / lodge. 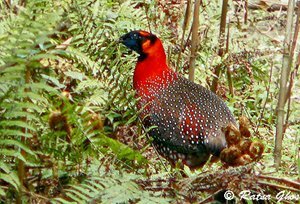 Neora Valley and Lava are bird watcher's delight, some of the birds spotted around Lava & Neora are Satyr Tragopan, Ashy Wood Pigeon, Rufous throated and Spotted Wren Babblers, Yellow throated Fulvetta, Red - faced Liocichla, Cutia, Rusty-bellied shortwing, Blue fronted Robin and long - billed Thrush etc. Morning start birding walk in Kampung Reserve Forest with walking along the road and forest trails, through evergreen mixed forests. We will also do some off track birding and some climbing up to elevation of 2300 m. later return for overnight stay. Today we will start a little early for bird watching in Kampung Reserve forests and Git Valley. Starting from the Git Valley, we trek along several forests exploring ravines and stream beds through the Kampung Forests. Later return for an overnight stay. After breakfast, we will drive up a steep road track to Zero Point at the entrance to the Neora National Park, climbing to 2400 mts, to start our birding trek through the Neora River Valley. Descending into the Neora Valley, through bio-diverse sub Himalayan forests and flora, we will be birding here for whole day. Later return to forest camp for an overnight stay. 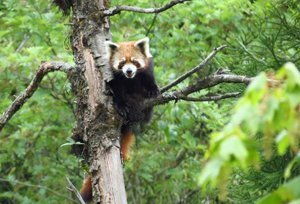 Today, we will go on some selected trail in the Neora valley National Park; we will climb up to an altitude of 3000 m. Later return to forest camp for an overnight stay. Today, we will check out from the Neora and will go on birding trek, back out of the Neora Valley by a diverse trail crossing the main ridge line through hill up to 2440 m for birding along forest trails in the Rushet Reserve Forest. Later check into the forest camp for overnight stay. Full day birding trek through Rushet Reserve forest. Later in the evening drive to Kalimpong. Upon arrival check into the hotel. Overnight stay at hotel. After an early breakfast leave for a half day sightseeing of Durpin Hill (which has the famous Zong Dog Palri Fo-Brang Monastery which belongs to the same Buddhist sect as the present Dalai Lama), Jelapla View Point, Pine View Point, Chitra Bhanu & Kalim Temple, Dr Graham's Homes complex with its historic church & well maintained grounds founded in 1900 by Rev. Dr. J A Graham, a Scottish missionary, Delo Hill (5556 ft) appears to be the roof-of-the-world, is the highest point in Kalimpong. Delo also has the town's picturesque water reservoir. Then on to Mangal Dham Temple constructed in memory of the late Guru Shree (108) Mangal Das Ji and dedicated to Lord Krishna, Kalimpong Arts & Crafts Centre, Nature Interpretation Centre (Forest Museum). Enjoy the scenic beauty along with the en-route birding return to hotel. In the afternoon drive for Darjeeling (7100 Ft), the "Queen of the hill stations", its name derived from "Dorje-Line" which means the place of "Dorje", the mystic thunderbolt. Covering a distance of 94 kms over a drive of 3.5 hrs along the Teesta & then a vertical climb thru Tea Gardens, it is an experience of unforgettable beauty. Arrive at Darjeeling by late afternoon. Check in at the hotel. Overnight stay at hotel. Start the day at 4 am with an early morning trip to Tiger Hill (7800 Ft) for birding and watch the sunrise from behind the majestic Kanchenjunga range. 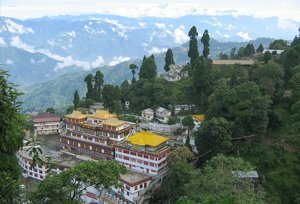 Later return back to Darjeeling, en-route we will visit the Ghoom Monastery & Batasia Loop. Upon arrival transfer to the hotel. Spend the rest of the day recouping the lost sleep. Walk to the mall road, do some shopping or lazy around at "Chowrasta" - the meeting point. Overnight at hotel. After breakfast leave for Bagdogra, en-route visit several tea gardens. Upon arrival transfer to the airport to board the flight for Delhi. Upon reaching at Delhi airport meet with our representative and transfer to the hotel. Overnight stay at hotel.